The simplest, yet the hardest process. he will be exterior not only from the body but from the material world. 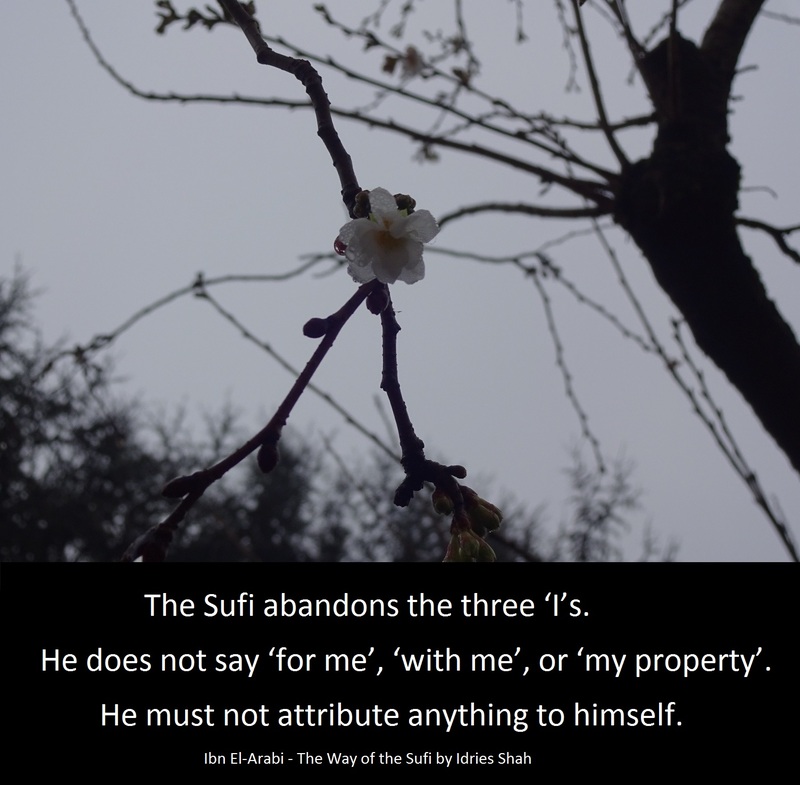 The Sufi abandons the three ‘I’s. He does not say ‘for me’, ‘with me’, or ‘my property’. He must not attribute anything to himself. but it requires strong determination and constant work. at the disappearance of the three I’s. Be prepared to both the magic and the ‘attacks’. challenging and rewarding process we have. Ok, what about havigness ? The problem with people having a Scientology backround is that they are used to work to acquire power (is nothing but a feeling of power in truth) for the illusion, the material world. Does a static really needs havigness? The process here suggested is to disintegrate the matrix, not to reinforce it as havigness does. Havingess, the feeling of having should be a means and a step to let go of the need of having/not having, instead it becames for the most the goal. Thanks for your answer. Be , do , have. = integrate the matrix. We live in an enourmous economic world. Very materialistic, not much spiritual, even not much humanistic. I think without havingness, people cannot live : love, respect, justice, can I do something for you… and fysicly, water, food, clouds, house. It is hard to live in the desert. Some people are materialistic very poor ( and modest ( africa ) ), others are very rich (and arogant : what do you think I AM ?) A live style. OT I and OTVII is also educational : to increase the awareness that people are spiritual beings, not machines and to increase beingness and respect for others. And what about responsibility? For yourself and your environment? Live alone or live together? By the pretence “To serve man…” People ask me to stop the wind, but they wont turn off the fan.